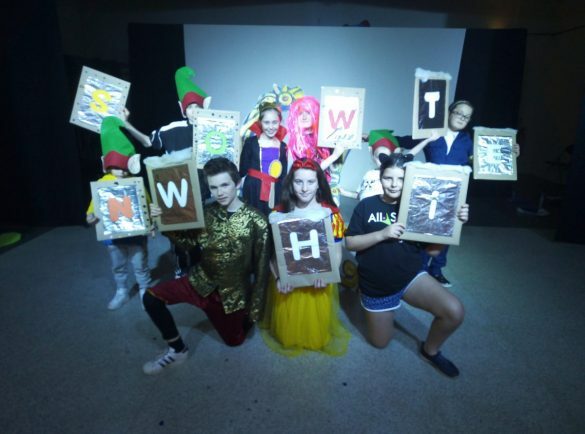 TALENTED students at All Sorts of Performing Arts are preparing to take to the stage in the Christmas production of Snow White the Panto. Students, volunteers and staff will be treading the boards for their first major production in All Sorts’ permanent home at Medway Community Centre. This production will also be touring to the local care homes with the support of Fortis Living. The show on Saturday (December 8) brings the curtain down on a remarkable year for the school which has moved to its permanent home, built a stage to ensure all performances would be properly lit, held their first summer fete and a witnessed a colourful revamp of the exterior of their base with mural provided by St Pauls. Principal Stuart Inglis said: “I’m extremely proud of All Sorts and how far we have come as a community team. A massive thank-you goes out to everyone who has supported us and especially the volunteers who have given more than 700 hours of free time this year. All Sorts, which will celebrate its five-year anniversary in 2019, will stage Aladdin the Musical as their next production. Call 01905 317850 or visit www.allsortsofpa.co.uk for more.